Let’s take a look at a few black cards from series 3! 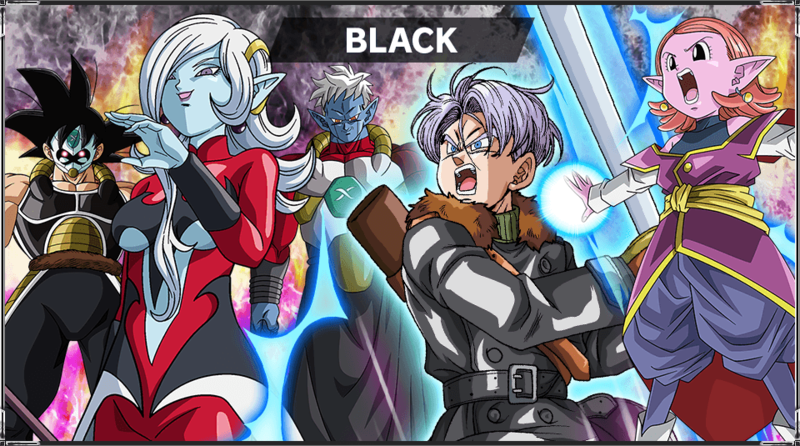 Black in series 3 is mostly focused on the Dark Demon Realm Saga! Master these keywords to grasp victory! 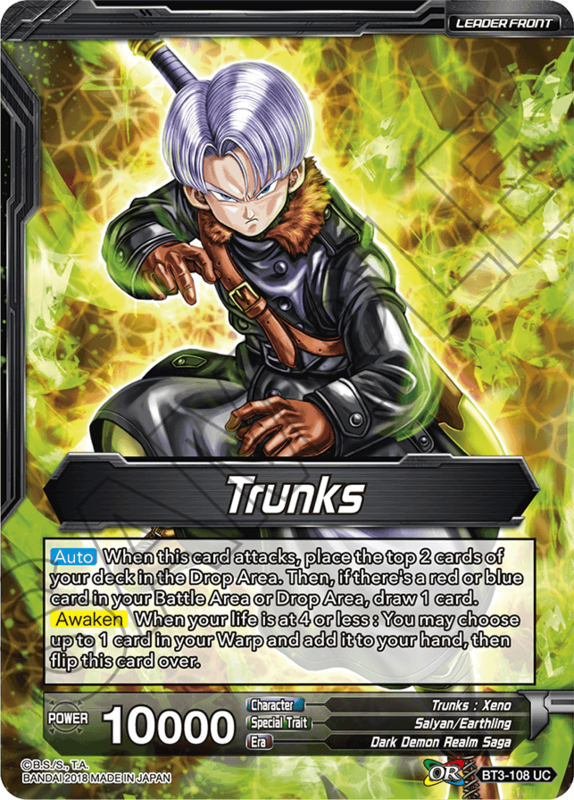 Trunks is now a leader packing awesome red and blue synergy! 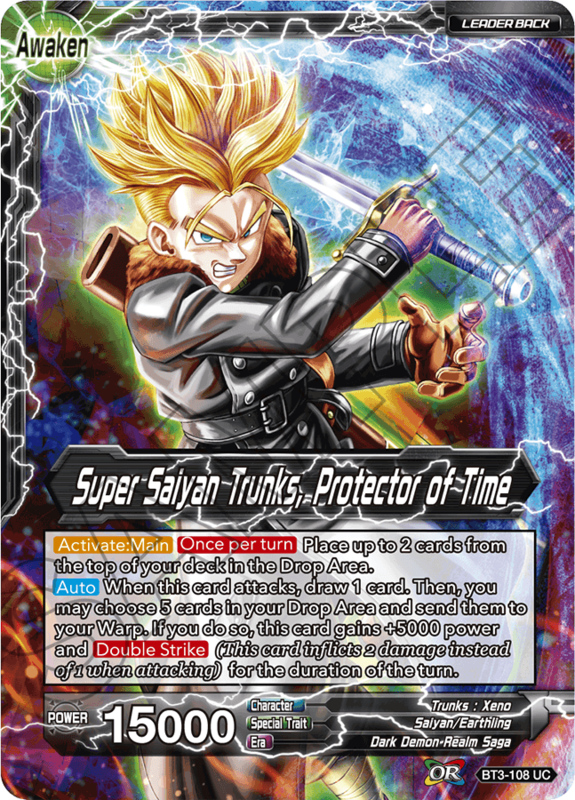 He also has skills that make it easier to activate Over Realm and power himself up at the same time, making him a powerful leader for Over Realm-centric decks! 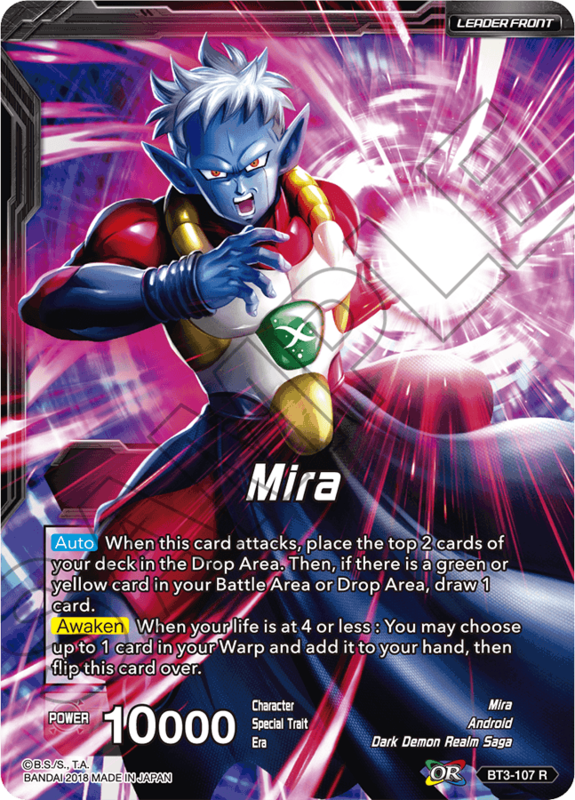 Mira pairs well with green and yellow, and—like Trunks—has skills that enable Over Realm! 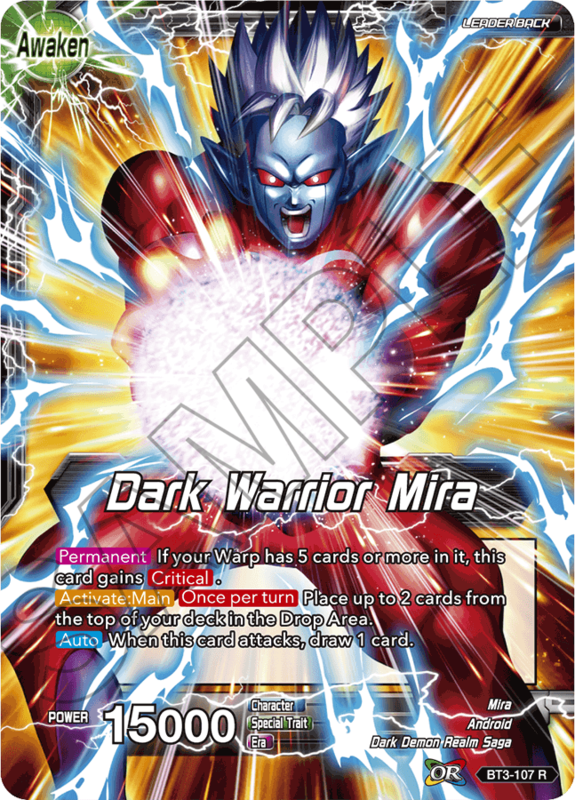 He also gains Critical once enough cards are in your Warp! 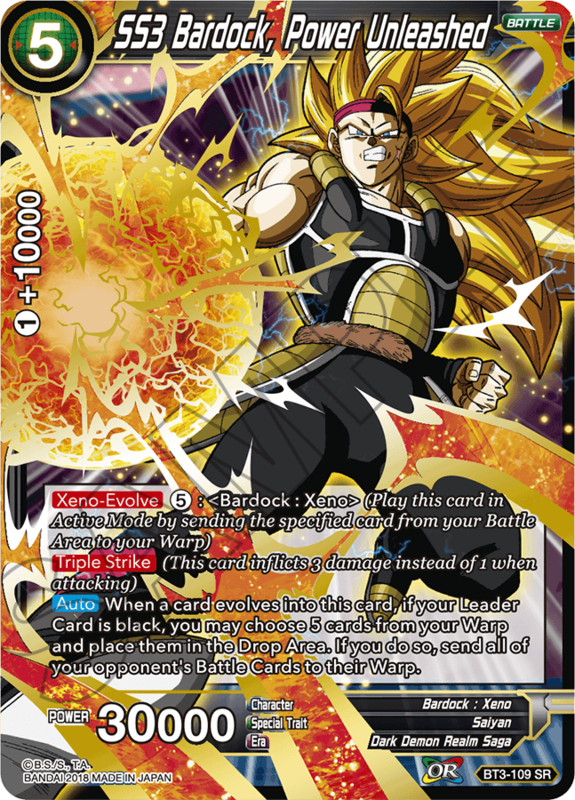 Bardock is here to push Xeno-Evolve to its limits! 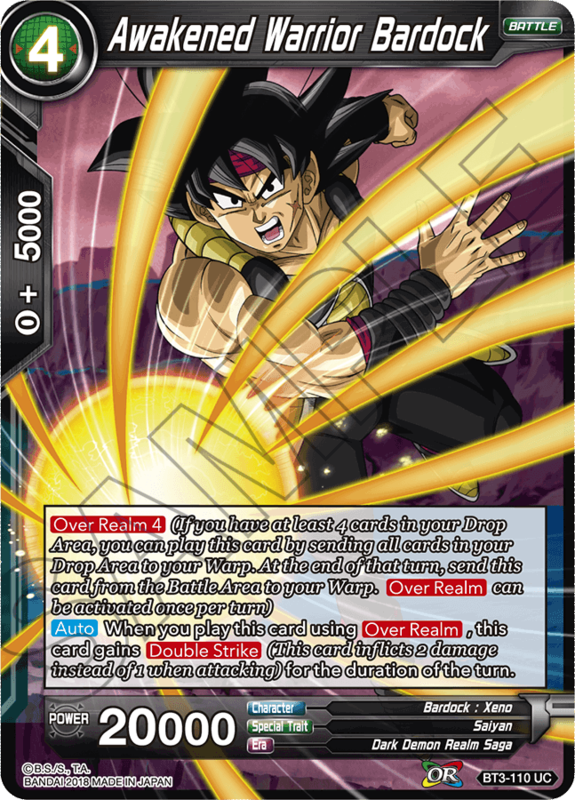 After playing BT3-110 Bardock : Xeno with Over Realm, you can attack with him, and then evolve into SS3 Bardock! Play Towa with Xeno-Evolve, and you can gain control of one of your opponent’s Battle Cards with a cost of 6 or less, switch it to Active Mode, and attack your opponent immediately! 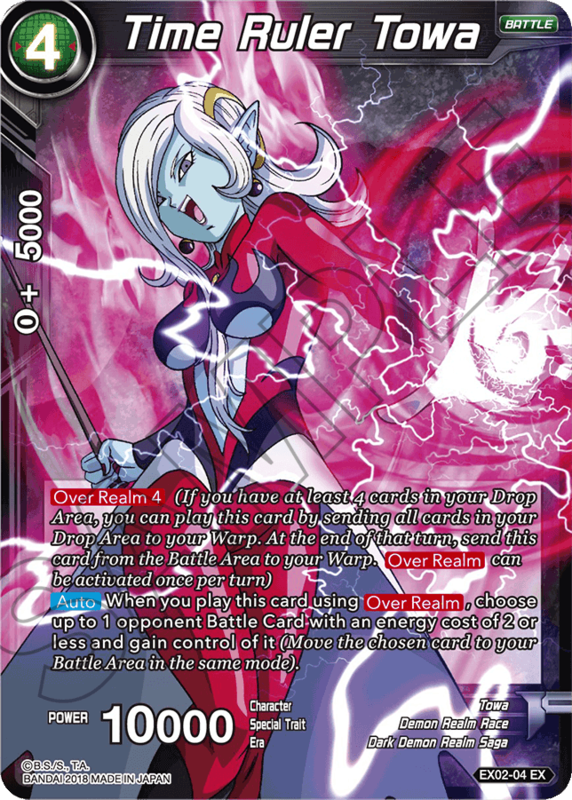 Either use BT3-115 Towa to evolve, or use the EX2-04 Towa to combo with Over Realm! 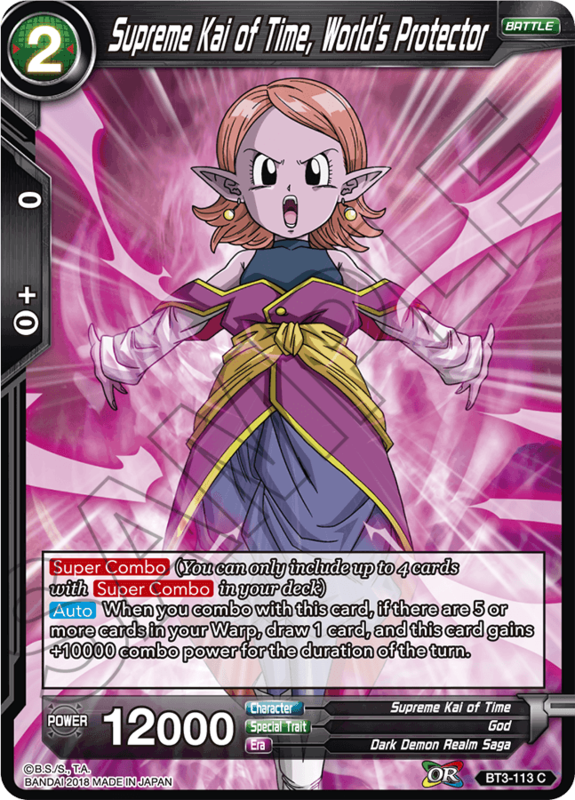 This card features 【Super Combo】, which is new to this series! 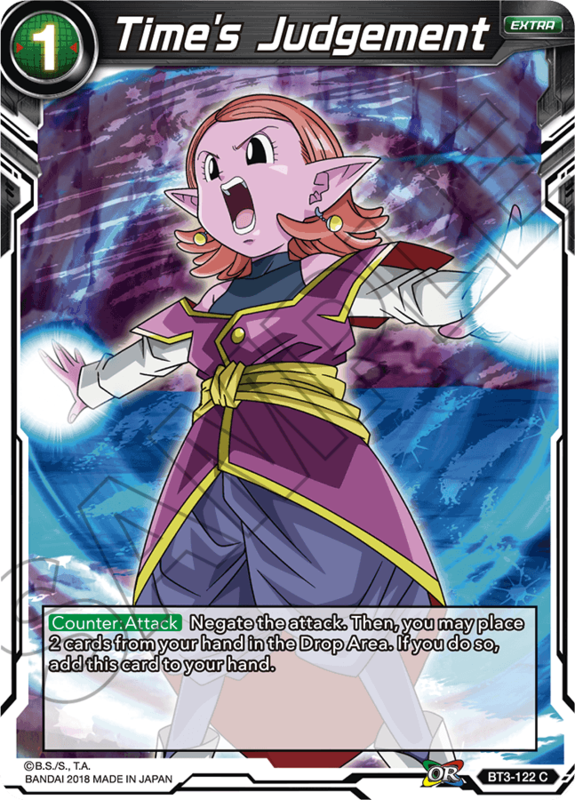 Some series 1 cards have been errata’d to have this keyword; check the errata cards page for details. A powerful negation card that can be returned to your hand by discarding two cards. And since it’s black, any deck can run it! There are even more new cards and skills from series 3 besides these ones! 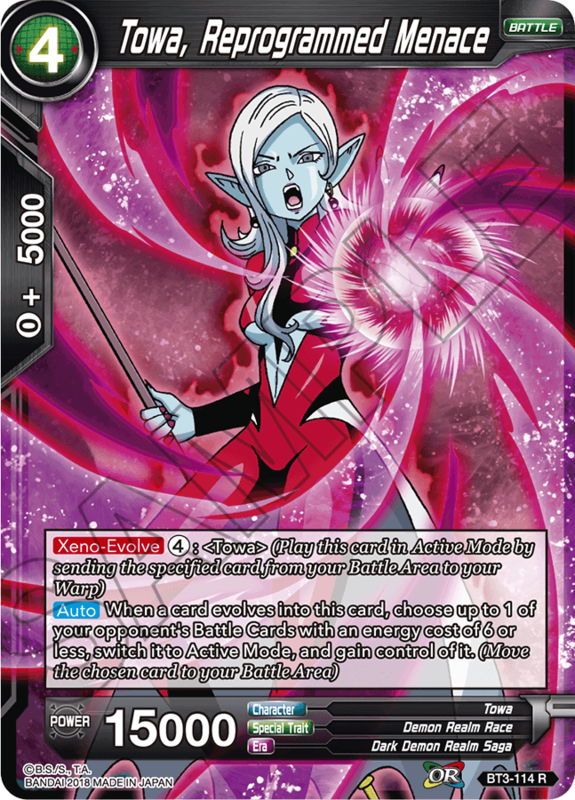 Black cards can be played in any deck, making it possible to create a wider variety of decks!